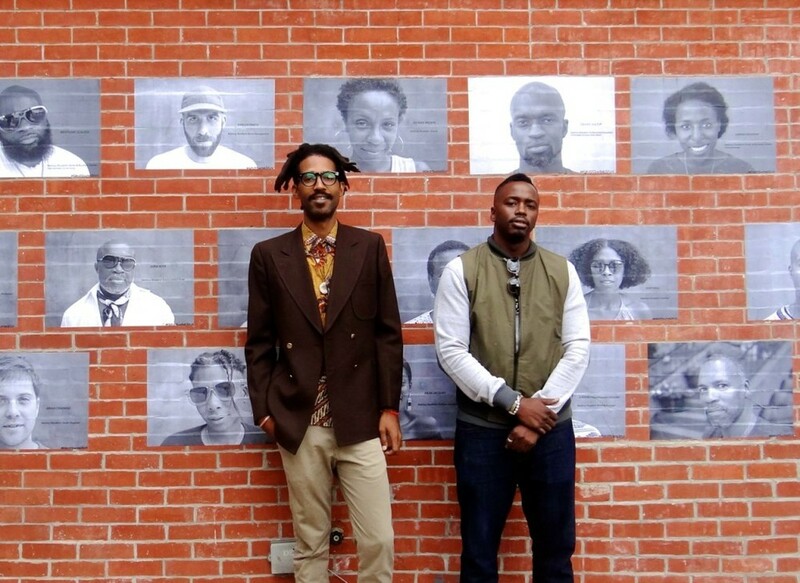 Griots in ‘The Stuy’: A Neighborhood as a Living Archive is an ephemeral public art exhibition of photographs in Bedford-Stuyvesant (Bedstuy), Brooklyn, and an online archive of personal stories from Bedstuy residents about the neighborhood they call home. All portraits are taken by acclaimed photographer, Kwesi Abbensetts. Accompanying the images are excerpts from interviews conducted by artist-curator Rasu Jilani, highlighting the Griots relationship to the neighborhood. ‘The Stuy’ is a name of adoration given by the natives to the Brooklyn neighborhood. ‘The Stuy’ has a plethora of rich cultures, diverse people and compelling stories. This project allows people who live in the neighborhood the opportunity to author collective stories about their community. The online site serves as a platform with updates to the project and a digital archive of the stories told by Bedstuy residents. This website consist of the portraits, brief captions about the subjects, and the audio interviews. The project mural can be found on the wall of local business, Sincerely, Tommy at 343 Tompkins Ave, Brooklyn, NY 11216. Rasu Jilani is an independent curator, social sculptor and entrepreneur whose work investigates the intersection between art, culture and civic engagement as a means of raising critical consciousness. The objective of his work is to catalyze interaction between artists, the local community and the wider public, in order to promote awareness around social issues through exhibitions, humanities, community programs and cultural events. Rasu is a resident of Bedstuy and native New Yorker. Kwesi Abbensetts is a New York based photographer who hails from Caribbean off of the Corentyne country coast of Guyana. A self taught man, he started playing with the medium of photography in 2006. His style has since matured, shooting portraiture, fashion and documentary photography and experimental short films. Portraiture became his main photographic foundation, since the beginning, always finding fascination in the human figure and its various states. Kwesi Abbensetts work is tightly bound to his identity. And, consequently, his work and subjects become a rendered celebration of his culture. Kwesi Abbensetts photography work stands firmly within the modern contemporary aesthetic, enhanced by his West Indian origins - the colors, the sun and the vibrancy. All photos are captured by photographer Kwesi Abbensetts. Read: Rasu Jilani's interview with The Laundromat Project about what inspires his art making.